Now available on-demand with 2 bonus sessions on Facebook chatbots and Amplifying Social Media! What will help you “win” social media for higher ed in 2019? Are you in charge of social media at your school? Do you spend more time on Instagram, Snapchat, Facebook and/or Twitter than you do in meetings on campus? Do you smile (or cry, sing or even jump) each time Instagram, Facebook or Snapchat announce new features? Do you wonder how to measure your social media efforts? Are spending more and more of your time crafting Stories for Instagram or Snapchat? Are you using social videos or paid social more and more? This conference, now available on-demand, was designed for you: it is all about social media in higher ed, only about social media in higher ed. It is THE annual online event for higher ed social media professionals and teams. Want to watch the #HESM18 Conference sessions? If you previously registered and paid your registration fee, LOG IN! to access the recordings and handouts. If you registered for the HESM18 conference, just LOG IN to watch these 2 bonus on-demand sessions. Chatbots are great for engaging with your audience quickly and effectively, but how do you maintain that human touch? In this 1st bonus on-demand session, Jonathan Migneault will explain how to manage the transition from a Facebook Messenger chatbot (using the popular ChatFuel platform) to a human representative from your university. You will see how it is possible to scale up customer service with a conversational bot while preserving the human touch for those special questions. Just because you build it, doesn’t mean people will tweet, post, or comment. In this 2nd bonus on-demand session, Ellen Curtis shows us how to use paid, owned and earned media to amplifying the impact of social media. You will see how this approach helped her increase the reach and impact of the 12 university service-oriented social media accounts she managed to communicate with students at Cal Poly. This online conference, now available on-demand, offers 12 focused sessions of about 10 minutes each and a general Q&A session. We all make an effort to engage with prospective students, current students and alumni, but can we make them care? These days, they tend to shy away from interacting unless truly compelled to do so. In this session, Geoff Coyle will explain how West Virginia University is creating content to engage. You’ll also learn how to better understand your audiences, the types of content they notice and how to build your own engaging content. Thinking students don’t want to hear about colleges on Snapchat? It’s a matter of (strong) opinions among higher ed social media professionals. But, everybody agrees students love to use the little ghost app. In this session, Mary Jo Stockton will explain how Longwood University used Snapchat to source authentic content (with the help of Mish Guru) from students abroad and off-campus. You’ll learn how these videos were then shared on Instagram, Facebook, Twitter and Snapchat and provided great content throughout the summer. Instagram Stories have become a very engaging way to communicate with current — and prospective – students. 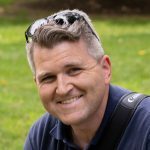 In this session, Tim Brixius will share the process he relies on to plan, create and schedule engaging Instagram Stories. You will also learn how he works with interns to create social media content that engages thousands at a campus with only 2250 students. As Instagram Insights continues to expand, you have now more opportunity to measure the performance of your posts, stories and even IGTV videos. In this session, Jessica Stutt will give you a guided tour of Instagram Insights. You will also learn how to extract meaningful data points to evaluate your efforts and to measure the outcomes of all these swipes up. Started more than four years ago, William & Mary’s giving day, One Tribe One Day (OTOD), has become the university’s single largest giving day of the year. In 2018, 12,770 donors contributed almost $2.5 million in just 24 hours. In this session, Tiffany Broadbent Beker will shared lessons learned running this social media fundraising campaign. You will also learn how W&M increased its donors more than tenfold over the past 5 years. Content is everything on social media. It’s the pixie dust that makes or breaks reach and engagement. In this session, Nicole Morell will show how to identify the content that best resonates with your audience. You will learn how to use your Unicorns (well-loved content) and your Zombies (content people always find on their own ) to support engagement, marketing goals and content strategy. Parents can be critical influences in healthy college adjustment when engaged appropriately. In this session, Dr. Kristin Austin will share the top findings of her doctoral research on a closed, private Facebook group for parents of new college students. You’ll also learn how you can maximize the impact of a Facebook group for parents at your school. Going Live (on Facebook) in 3, 2, 1…. Everybody loves video in social media – including Facebook algorithm. In this session, Christen Gowan will explain how to create interesting AND engaging Facebook Live broadcasts by following a plan and using the right tools for the job. You will also learn how to engage the audience at home in a meaningful way – the key to reach on Facebook. UTA has developed several successful video series to engage, educate and entertain its social media audiences. In this session, Hillary Green will share the social media video process that made it all happen. You’ll learn how to adapt this process to create high-quality, engaging social videos no matter how big (or small) your team is. We all encounter our share of trolls, ranters and ravers on a daily basis, but are you truly prepared for chaos when it strikes? In this session, Erika Forsack will walk you through the development of a response tree to prepare a unified response to almost any crisis that your social media account managers can use at your school. Breaking news: Organic reach is still on the decline. That means “pay-to-play” (i.e. paid social) is now part of the picture. The good news is that social media advertising has proven to be an effective way to reach a targeted audience. In this session, Dominique Benjamin will share his experiences with the latest advertising tactics across Instagram Stories, Snapchat, and Spotify. You’ll learn what works and how to optimize content for each platform. The only constant in social media is change, right? Private networks and locked down accounts are more and more popular with prospective and current students. In this session, Todd Sanders will discuss the rising need for higher ed social media professionals to reach and engage an audience that is sharing less and less on the public social media scene. You will learn how UF started to rethink social and how you can do the same at your school. Geoff Coyle serves as Social Media Editor for West Virginia University. 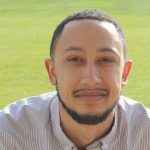 In this role, Geoff and the rest of the Social team work to promote the University’s message and image for prospective students, current students and alumni through digital platforms. Prior to joining the team at WVU, Geoff worked in sports television for West Virginia Illustrated, gaining experience as a host and reporter for various network broadcasts. He continues to dabble in the sports realm as a freelance camera operator and a contributor for Stadium. Mary Jo Stockton is the Director of Web and Social Content for Longwood University. Her responsibilities include developing and managing the university’s social media accounts and web presence. 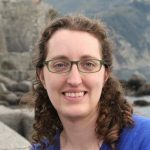 Mary Jo has a bachelor’s degree in electronic engineering and a master’s in bioengineering from Strathclyde University in Scotland and a Ph.D. in electronic engineering from the University of Newcastle Upon Tyne in England. With the growing prominence of the internet and the WWW in the 90s, her career took a left turn into freelance web development. She ended up at Longwood in 2008 just as social media was becoming more relevant in digital marketing. She is also a 3-time graduate of Higher Ed Experts’ professional certificate program in Web Analytics for Higher Ed. In her spare time, Mary Jo is involved in community theatre and is the assistant director of the Virginia Children’s Book Festival. She is also mum to a 14-year-old boy, a cat lady, and a geek consuming all the usual fare of Doctor Who, The Walking Dead, Game of Thrones, etc. Tim Brixius has over 20 years of experience in F&M’s Office of Communications, working his way up from student intern to assistant web manager. In 2010 he began managing College’s social media accounts. Now, as part of a broader communications strategy, he coordinates content for and maintains F&M’s institutional social media presence. Additionally, he provides guidance to other departments and offices managing their own social media profiles. Jessica Stutt is the Integrated Marketing Manager at the University of New Brunswick. She is an experienced marketing professional with a background in marketing analytics and measurement. She has significant experience in collecting and analyzing data from a variety of marketing sources and converting raw data into meaningful, comprehensive reports. 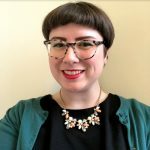 Before joining the Marketing Office at the University of New Brunswick, Jessica worked in marketing at Salesforce Radian6, a social media monitoring platform. Jessica holds a BA and MBA from the UNB as well as a Master of Urban Studies from Simon Fraser University. She is a faculty member at Higher Ed Experts and teaches social media and digital analytics. She is also a graduate of Higher Ed Experts’ Social Media Measurement and Advanced Web Analytics professional certificate programs. 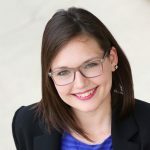 Tiffany Broadbent Beker is the Director of Digital Marketing for University Advancement at William & Mary, leading the office’s efforts in strategy, analysis and management of social media, e-mail marketing, web and digital applications. 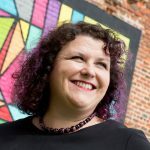 She has presented at conferences including HighEdWeb, CASE Social Media & Community, Higher Ed Experts’ Higher Ed Social Media Conference and the College Communicators Association of Virginia and the District of Columbia (CCA). She serves on W&M’s Communication Committee and Social Media Users Group (SMUG), is on the board for CCA and is an Institutional Representative for W&M to the Virginia Women’s Network. Nicole Morell is the associate director of digital strategy within the Strategic Communications and Marketing team at the MIT Alumni Association. She manages digital marketing strategy and analytics to craft messaging and campaigns to engage alumni with the Institute and one another through marketing of content, events, and programming. 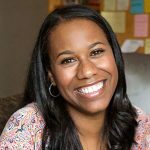 Dr. Kristin Austin is an Assistant Professor of Educational Leadership & College Student Affairs at Bloomsburg University of Pennsylvania. Dr. Austin brings a diverse and progressive 15+ year history in the student affairs profession to the classroom, including work at five different higher education institution types. Dr. Austin’s dissertation focused on mobilizing a Facebook group as a means for fostering the transition and retention needs of new college students, and their parents. Christen Gowan has been managing digital strategy at Union College for the last 8 years. She supervises and coordinates all strategy and execution of the College’s main social media channels, while serving as an advisor to the president and senior staff on digital marketing campaigns that coincide with Union’s strategic goals. Before Christen came to Union, she worked as a daily news reporter at the Albany Times Union. Hillary is a digital communications professional passionate about storytelling. She uses social media to strategically build relationships and provide value to the university’s audiences. She loves reading a good book, binge-watching whatever is on HBO and will not respond when students ask how many retweets for a free ride. Erika started managing social media on the university level in August 2017. Previously, she spent six years working for VCUarts in a number of different roles in both the Admissions and Communications offices with a focus on recruitment strategy and social media communications. Her area of expertise is accessibility and inclusion on social media. Erika was selected to present at HigherEdExperts Content Conference 2018, College Communicators Association Virginia and DC 2018 Conference, the 2018 UCDA conference and the 2018 HighEd Web conference. Erika completed Higher Ed Experts Social Media Marketing for Higher Ed certificate course in July 2017. Dominique is responsible for social media strategy for Texas A&M’s “Aggiebound” persona, which represents the Office of Admissions across print and digital channels. He holds a bachelor’s degree in mass communications and Africana studies from the University of South Florida and a graduate certificate in technology and communication from the University of North Carolina at Chapel Hill. Dominique is passionate about three things most of all: New media, storytelling and bowties. Todd Sanders is the director of digital communications and social media at the University of Florida where he plays on the internet to discover new ways to make old things sound less boring to young people. He’s worked in higher ed since 2002 in various roles providing campus-wide strategic leadership and coordination of social and digital initiatives. In 2011 he won a Mercedes-Benz on Twitter. 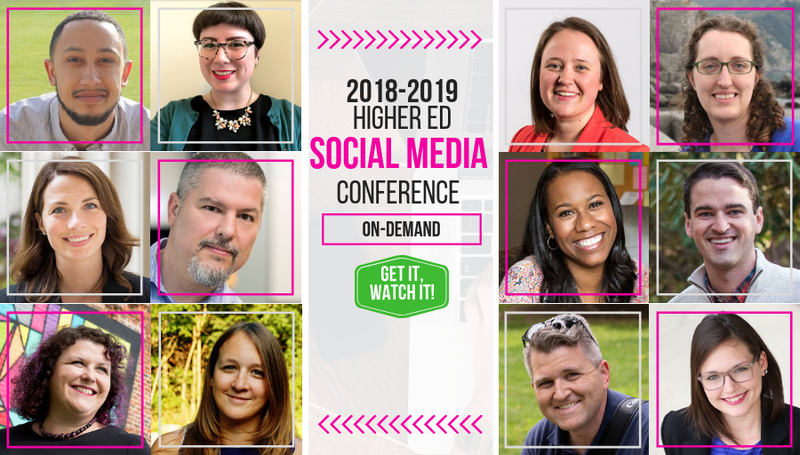 Should I get the Higher Education Social Media Conference on-demand? What is included in my Conference access fee? A 1-year unlimited access to the recordings of all the 2018 presentations and the Q&A session – on-demand through links that we will provide to you. This online conference, now available on-demand, offers 12 focused sessions of 10 minutes each and a general session Q&A at the end. Thanks to the algorithmic feeds on Facebook, Instagram, Twitter and LinkedIn, social media reach is now a direct function of engagement. So, coordination and collaboration across units are keys to get social media content widely distributed. By creating a “Marketing Super Users Group,” WKU successfully created and executed a collaborative communication flow using web-based tools (Google Calendar, Dropbox) to disseminate news over institutional social media and blog networks. 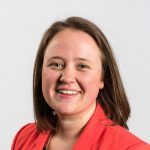 In this session, Dr Corie Martin will outline how you can implement a similar collaborative, themed content strategy on your campus by using the networks you have and empowering your campus influencers. Social media is an integral part of most “giving day” campaigns, but does it really have an impact? Does engagement lead to more gifts (or even better, new gifts), or are you preaching to the choir? Do calls-to-action by social media ambassadors help? Which social networks are the most effective and who is using them? In this session, Holly Sherburne will share tips and tools to collect data. You will also find out how her team collaborated with the Office of Annual Giving to evaluate the impact of social media on their #BowdoinOneDay campaign. Visual content is crucial on social media, right? As platforms continue to evolve with a strong bias towards images and videos, how do you select your visual content? Do you design it to reflect your other marketing assets? Do you use high a quality, professional photo? Do you try to do something more organic? In this session, Jessica Stutt will show how you can answer these questions with data. By looking at real examples and results, you’ll get some easy and actionable insights into how to optimize your own visual content. A student death is a tragedy you wish you will never have to deal with on social media. Yet, when the tragedy strikes, you can’t escape. In September 2017, a player on the Midwestern State University football team was taken to the hospital after an accident on the field a minute before the end of the home game. In this session, AJ Lopez III will explain how social media played a key role to help the campus community rally behind the student and later his family when he passed away a few days after the accident. You’ll learn first hand what to expect when your campus is grieving, steps to use your social media presence to keep everybody informed, and how to prepare yourself for the stress. What difference can 11 months and a strategic approach to social media emergency response make when your campus is hit by Hurricanes Matthew and Irma? A lot. After becoming the de-facto emergency call center for their school in 2016, the social media team at Flagler College knew there was a better way to communicate in times of crisis. In this session, Holly Hill will explain how the SMERT – the Social Media Emergency Response Team – was created in the wake of Hurricane Matthew and put to the test by Hurricane Irma in 2017. The main presence on Facebook of UofG Admissions Office, the beloved Mascot account, ceased to exist at 4:24pm on a Friday afternoon in January 2017. Facebook had shut down the account at the beginning of the most important season in the admissions cycle. In this session, Angi Roberts will explain how her office started from scratch on Facebook. She’ll share lessons learned the tough way and will show recovery, regrowth and renewed engagement are indeed possible on Facebook. In January 2017, Aisha sent a letter to Professor Tim Birkhead at the University of Sheffield to ask a few questions for a Science competition at her primary school. Professor Tim was keen to help, but Aisha had forgotten to include her contact information, so he couldn’t reply. In this session, Andrew Twist will tell you how his team devise the social media campaign that helped find Aisha and told the story of her campus visit. You’ll learn how the University of Sheffield used Facebook, Twitter, Snapchat, YouTube and Instagram to write a beautiful post scriptum to Aisha’s letter. Whether you’re Team Snapchat or Team Instagram, it’s now impossible to ignore the story format. Camera roll uploads, analytics available past 24 hours, and easy engagement with Instagram Stories changed the game of expiring content. From creating a story on the go to translating existing content into Instagram-friendly nuggets, the key to a successful story is a solid tool kit and workflow. In this session, Erin Supinka will share favorite tools, quick tips, and insights to measuring success you can use for your own Instagram or Snapchat Stories. Who said Instagram was just for beautiful sunsets on campus? The University at Buffalo has started to use it to share news about its top-level research. Inspired by Snapchat’s Discover feeds, UB’s ‘InstaNews’ features a weekly look at research, events and other happenings on campus, and has driven impressive traffic to news stories on the website. In this session, Jacob Schupbach will share his recipe for selecting the right content. You’ll also learn all you need to know to try to replicate this Instagram Success Story: challenges, key learnings and strategic approach. Virtual reality is still new territory for video creators trying to get it right. This year, Texas A&M brought VR to the national stage at South by Southwest (SXSW) 2017 and to audiences on social media. In this session, Dominique Benjamin will explain how this forced the team to think outside the “box” and inside the “sphere.” You’ll also hear the case for immersive 360° storytelling on Facebook and YouTube. Social media has not only altered how we communicate personally, it has reshaped the information we consume and distorted our emotional responses. Many brands – and some schools – have made the choice to embrace sarcasm and savage or shallow online engagement. In this session, Nikki Sunstrum will explain how the University of Michigan has chosen to stay true (and blue!) to its mission. You’ll learn more about Sunstrum’s proactive approach to digital conversations. You’ll get inspired by her call to higher ed social media professionals to go beyond memes and help save social. Is your institution doing all it can to strategically reach prospective students during the yield period? Do you use the right media and messaging? In 2015, Dr. Corie Martin completed a research study on admissions and marketing recruitment outreach activities. She observed thousands of student interactions within university social media communities. In this session, she will share the results of this academic research. You’ll learn what was really important to students according to this study and how your team can prepare for the next generation of prospective students. It’s challenging to create a sense of community on a non-traditional campus. At New York University, the Digital Communications Group launched #CongratagradNYU to build a stronger, more engaged digital and global community during commencement season. In this case study, Chris Barrows will explain how this social media campaign offers an immersive and interactive commencement experience for all students, faculty, family, and friends, regardless of their location. You’ll also find out more about the critical components of this campaign you can borrow to create similar momentum at your school. Have you already run a 24-hour social media giving challenge at your school? These fun fundraising campaigns have become really popular at large institutions. In this session, Michelle Tarby will tell you how Le Moyne College successfully ran its first 24 hour giving challenge with a small budget, a tiny team and much fear of what the day could bring. You’ll also walk away with 10 practical tips to run your own 24-hour giving challenge at your school. Feeling pressure from your dean or manager to do more with social media? Don’t fall into the trap of creating new accounts! It’s hard to get people to pay attention online, especially when you start from scratch. In this session, Jes Scott will discuss five short case studies where UVic departments identified their goals and decided to work together instead of going solo on social media. She will also share tips to help you tame the urge to create more accounts at your school. Snapchat is one of the most popular social media platforms for engaging with college students. But like any social platform it has its complexities and unique uses. In this case study, Tyler will explain why the University of Nebraska decided to create and manage just ONE account campus wide. You’ll learn how this Big Ten University rallied its large community around this single snapchat account – and how you can do it at your school no matter its size. You’ve done your research, developed your strategy, claimed your handle, and are ready to launch a new social media account! What now? In this session, Meg Keniston will explain how St. Lawrence University drummed up tremendous excitement on and off campus the day they launched the University’s Snapchat account – and earned more than 1,000 followers within 24 hours. During the summer of 2016, Princeton Social Media planned a week-long Snapchat campaign to give incoming students a glimpse of their new home. Two days into the campaign Instagram launched its Snapchat competitor, Instagram Stories. In this session, Jessica Leontarakis will talk about the challenges and opportunities Instagram Stories presented and how initial experiments with the platform helped reshape Princeton University’s social media strategy for the 2016-2017 academic year. Instagram is still full of possibilities for higher education. Whether you want to reach prospective students, current students, alumni or parents, it’s possible to reach them all through one Instagram account. In this case study, Andrea Limas will explain how USFCA use Instagram’s new Stories feature, an editorial calendar featuring campus-wide publishing themes, advanced analytics for business, audience driven hashtag campaigns, and strategically placed user generated content to provide a 360’ view of its community. You will also find out how you can integrate Instagram with your website, eNewsletters, digital signage, and even Snapchat. Videos are difficult to create, time-consuming, and expensive. But, social media videos don’t have to be that way. 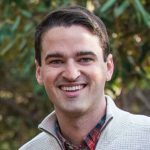 In this session, Robert Bochnak will explain how he used PowerPoint, user-generated alumni content, and royalty-free music to create a series of simple videos viewed more than 16,000 times on Instagram and Facebook over the past year. You’ll learn how he created these videos and how they have evolved over time. Looking for new and interesting ways to showcase your great campus, faculty, staff, and students? Facebook Live and Periscope can help. Live social video offers a way to interact with your entire community – in real time – on popular existing platforms like Facebook and Twitter. In this session, Tiffany Broadbent Beker will explore William & Mary’s forays into Facebook Live and Periscope from faculty expert interviews to campus tours. She will also share 10 lessons learned for live social video. At a big university, quality social content can go a long way organically. But, it’s another story when you don’t have a huge student population. For smaller schools, sometimes organic reach isn’t strong enough to see the results you want. In this session, Abby Meyer will show you how boosted content and paid ads helped UNMC exceed reach and engagement expectations on Facebook while accomplishing a high return on investment. You will also learn the importance of accurately targeting your audience for this paid content – something that was so crucial to UNMC’s success. We don’t lack social data, but many of us are stuck with what to do with the masses of data we have. In this session, Dr. Liz Gross will review 5 metrics that can help you assess the effectiveness of your social media efforts, refine your content and publishing strategy, and measure engagement. You’ll learn where to find all of these metrics available for free in popular social platforms and third-party software – but often hidden. Social media can be exciting, thrilling, rewarding, and quite time-consuming when you are in charge of it for your school. So, where does it fit in the big picture for your institution? In this presentation, Rachel Reuben will draw from her previous experiences as a vice president of Communications at Colgate University and associate vice president for marketing communications at Ithaca College to give you insight into social media as seen by senior administration. You’ll also learn some tips and tricks to better communicate your social media-related ideas, wins and needs to senior decision makers. It’s never easy to bring social media managers together no matter the size of your institution. In this presentation, Chris Barrows will share his experience creating and managing NYU social media ambassador group. You’ll learn how to create your own community, effectively communicate with your group and ensure long-term success. Do your social media accounts suffer from a lack of engagement? Many do and the culprit is usually: either content or a misunderstood audiences. In this presentation, Tracy Playle will show how to use Charlene Li and Josh Bernoff’s social technographics profiling tool (amongst others) to help get deeper into the minds of students and alumni. You’ll learn how to plan more effective social media activity, manage everybody’s expectations in terms of engagement and measure that engagement. Harvard Business School’s Alumni Office has generated over 25,000 unique interactions with alumni via Twitter, Facebook, and Instagram. In this case study, Robert Bochnak will explain how the “Identify-Engage-Leverage” approach made it all possible. You’ll also learn how to apply HBS’s model at your school. When Ohio State asked its social media followers to share their #BuckeyeLove stories around Valentine’s Day in 2014, it was a hit. So, in 2015, the university created an even bigger, university-wide social media campaign in partnership with the annual giving office. In this case study, Lauren Boyd will explain how she worked with several social media partners on campus to create a university win — telling research and academic stories through a fun hashtag with a subtle giving spin. You’ll also learn how this strategy is now going to be used for future campaigns. While prospective students aren’t sharing much of their personal details on Facebook (Mom, Dad, and Grandma are watching, right? ), Millennials and Generation Zers still use Facebook to connect with potential classmates and get a feel for the campus. In this presentation, Chelsey Rovesti will discuss how to create a successful “Class of” Facebook group for your prospective students. You’ll learn how to involve key campus stakeholders, recruit and train current students and staff, promote your group and other winning tactics to create a positive environment for students to connect. Is your school on Periscope yet? Should it be? It might be too early to decide, but it’s never too late to learn more about this new live-streaming mobile platform. In this presentation, Dominique Benjamin will share a case study of Duke’s first Periscope experiments. You’ll learn how to evaluate the platform for your own, the type of content that works best on this new platform and other lessons learned at Duke. If your school is on Snapchat, you’ve learned the hard way that the social media platform doesn’t make it easy for universities. Who hasn’t suffered from failed geofilter submissions, banned third-party apps and lack of text space? In this presentation, Candace Nelson will take you through 10 challenges universities may face with Snapchat and share how they were tackled at WVU. You’ll get tips and tricks to take your university’s Snapchat account to the next level. Countless pieces of content are generated online every day – and some of those tidbits are of direct interest to the audiences at your institution. In this presentation, Tiffany Broadbent Beker will share a case study about William & Mary’s community-run “Life@W&M” Instagram account. You’ll learn how to harness the power and authentic voice of your community (and save yourself some time) by handing over content creation to others. Humor can be an incredible tool for building active and engaged social media communities – when used right. There’s a fine line between humor that resonates with campus audiences and humor that undermines the seriousness of your official university communications. In this presentation, Kate Post will walk you through this line. You’ll learn how to find the right tone on social media for your brand, give your channels a personality and write humorous posts. Campus emergencies, controversial events, and even a single snowflake can quickly turn your social media landscape into chaos. When a “crisis” hits, students, parents, faculty, alumni, news media and observers all rush to social media and create a jumble of comments, questions, and rumors. 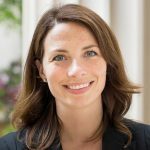 In this presentation, Nina Sossen will explain how to effectively listen to the conversation and when and how to use campus social media to respond. You’ll also learn how to quell the chaos and provide accurate and concise information, all while maintaining the university’s brand and respecting the community’s right to free speech. In August 2015, three of University of Michigan’s most popular Facebook pages were hacked. Malicious posts were published on the Michigan Football, Michigan Basketball, and Michigan Athletics Facebook pages. The UMSocial team had to act quickly and diligently to recover from the hack. In this case study, Nikki Sunstrum will explain how her team managed the 12-hour aftermath before full control was regained. You’ll also learn how to be proactive and protect your social properties from similar attacks. Innovation in higher ed social media never stops. In this presentation, Cara will give you a fast-paced overview of the latest social media trends and strategies used in higher education. From post-Facebook conversations to brand ambassadors and “trendjacking,” you’ll take away lots of ideas and practical information to try at your school. How do you use social media to engage students during their college search process? Do you simply share information, or do you invite student feedback? Relationships that you establish early on can encourage your students to enroll and persist at your institution. In this presentation, Corie Martin will explain how you can use the resources you already have in place to create a winning social media student service program for both new and existing students to help meet enrollment goals, excite students, and get the job done. Is your college president on social media yet? Do you wish s/he was doing a better job at it? After conducting a major research study including more than 20 confidential interviews with Canadian and American university and college presidents, Dan Zaiontz wrote the book that will help you get your leader there: “#FollowTheLeader: Best Practices in Social Media for Higher Education,” to be published by mStoner Media in December 2014. In this presentation, he will share best practices in social media engagement by higher education leaders and a few recommendations for strategic advisors in assisting leaders to do social media right. Don’t have a social media ambassador program yet? Want to revamp yours? In this presentation, Sandra Ordonez will tell you how to launch a Social Media Ambassador Program for your department with 10 effective steps. She’ll explain how to get your social media ambassadors to create social content, promote and attend events, as well as assist with the growth of your social media following. Building your programs searchable reach: Using social media to help in searchability and findability. How to use simple strategies for web and social media content to help build your programs reach and findability? In this presentation, Andrew Smyk will explain how social media content can help promote your academic program and help potential students find your program. You’ll also learn how to be selective with cross posting content and use multiple social media streams to create an opportunity for potential students to stumble across your program. Our audiences are busy, have strong ‘baloney detectors’ and are often inundated with information. The Surprise & Delight tactic allows your brand to enter the conversation and build positive sentiment without your audience even knowing it. In this presentation, Tyler will introduce you to the ins and outs of this tactic from the simplest Surprise & Delight social situations to more advanced campus wide initiatives that make a huge splash. Social media success story: How U of G overcame the “We Don’t Do Stupid” Generation. This generation of prospective students belong have always been bombarded with savvy marketing campaigns. They’re a tough audience to crack. They don’t do stupid. In this presentation, Angi will tell you how the integrated campaign to hand-deliver admissions letters launched last spring helped wow students. You also find out how you can make these students your fans, influencers and marketers by giving them what they want: something remarkable. Survey after survey and article after article, the demise of Facebook as a communication platform for students is announced everywhere. At Boston University, the Dean of Students Office had begun to buy into the idea that students were straying away from Facebook to get information or interact with their community. Yet, after being asked to collaborate on two new Facebook properties, Kat Hasenauer Cornetta was surprised to witness the most engagement she had ever seen in 8 years of managing Facebook for her division. In this presentation, Kat will share details on the audience research and strategy leading to this success story as well as lessons learned in managing communities of incoming students and current parents. From Orientation weekend to Labor Day weekend, Nazareth College asked students to capture their first few weeks of school and show their school pride by taking part in the #NazMoveIn Instagram Challenge. The Challenge encouraged incoming freshmen and transfers to feel connected via the Nazareth College social community, while providing the College an opportunity to crowdsource and curate authentic photos taken by Nazareth students. In this case-study, Alicia Nestle will present the strategic goals, dynamics, lessons learned and results of this Instagram challenge. In its inaugural year in 2013, CMU’s #LifeAtCentral Instagram Challenge reached 47,500+ people with 120,000+ impressions, and increased followers by nearly 40 percent in one month. In this presentation, Rachel Esterline Perkins will review the successes and challenges of running a month-long photo-a-day challenge at a large university. She will also explain how the challenge evolved after the first year to encourage further growth and engagement in its 2nd edition in October 2014. Facebook promoted posts and Twitter ads: Is it worth it? To promote, or not to promote? That is always the question. Promoting your posts on Facebook or Twitter can sometimes give you hundreds more likes and shares than organic posts , and other times it’s a total waste of money. What does promoting your post really give you – impressions or engagement? Can you accomplish both? In this session, Julie Winch will help you find the best bang for your buck when it comes to boosting your social posts. Have you stepped into the wonderful world of Tumblr yet? Tumblr is not another Facebook and works very differently. In this presentation, Stephanie Leishman will tell you what’s different and how you should approach this platform. You’ll learn the basics of Tumblr for higher ed and find out how to reach a younger demographic through several case studies. Don’t fear Snapchat! It can be a powerful tool in higher ed. WVU wasn’t the 1st university to start, but did its homework. In this presentation, Tony Dobies will explain how WVU launched its Snapchat account and how it has used it so far for football games, presidential snaps & campus visits. Every Friday for more than five years, the University of Rochester has turned over the large photos on its homepage to the People: students, faculty, staff, alumni, and parents. In this presentation, Lori Packer will tell you all about the goals, dynamics and results of Photo Friday, so you can make the case for publishing social user-generated content on YOUR school website, too. Hashtags are associated with nearly every marketing campaign nowadays, but are they actually useful? More than just a trendy # symbol, hashtags can create conversations and buzz long before an event starts and help them continue after the last participant has left. Are you using this marketing and social media tactic effectively for your organization and its events? In this presentation, Tiffany Broadbent Beker will explore how to create a great hashtag, how to publicize it, and some of the best ways to showcase it before, during and after your event using examples from W&M’s 2014 admission and commencement programs. New change to a social platform? It’s no time to rethink your social media strategy; stick to your content strategy and all will be fine. Re-center yourself with the mantra “Make content more social” — an attempt to proactively create, host, and share more social stories. In this session, Ma’ayan will show you how moving horizontally rather than vertically through your social spaces allows for more seamless and integrated social experience, with an emphasis on telling your best story, aided by the tools you have at your disposal. How do you support and coordinate 500 social media accounts managed by hundreds of people scattered in different units across your campus? In this session, Tiffany will share College of William & Mary’s secret recipe to tackle this challenge. She will explain how a social hub and a social media users group can also help tame your school’s nuts-loving Social Media Beast. Curating content for several social media outlets on a wide range of topics and programs can be time consuming, overwhelming and frustrating. You understand social media inside out, but do you know as much about every single program or initiative implemented at your school? 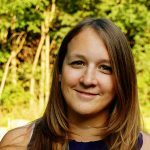 In this session, Erika will share the lessons learned on her professional journey to an educated social media strategy by relying on the content experts at her school. Monitoring and responding to social media is a necessary component of any crisis communication plan. But, when tempers rise, social media can become its own crisis, risking damaging your institution’s reputation. In this session, Jaime will share lessons learned from Radford University’s experience dealing with social media during an on-campus crisis. Simple communication strategies and social media tools can help maintain student enthusiasm for enrolling in your program and keeping applicants engaged through the “out of sight, out of mind” summer months. In this session, Andrew we will go over how to develop, launch and maintain a cross-channel recruitment and admissions strategy to increase enrollment and recruit highly motivated and focused students for an academic program. This is not an exercise in filling seats, but a way to get the type of student your academic departments want in their programs. Not sure if gamification should be a part of your social mix? Take ten minutes to see why gamification works to boost social media marketing by improving engagement. 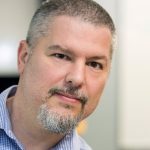 In this session, Bryan will show who uses gamification in higher ed with success, what legal issues you should know before starting a gamified campaign and the tools you can use to help you get started. A picture is worth a thousand words, right? If you work in social media, you know how true this statement is. In this session, Lisa will tell you how to make your images appear the best on social media platforms. You will learn why paying attention to optimizing graphics for social media is worth your time and leave with practical tips on sizing, image platform and using text in graphics for a professional look and feel. Do YOUR students love Instagram too? We used Instagram to break through and connect with our audience; in less than a year, it has become our most engaging platform for students, younger alumni and prospective students. Learn about how we’ve made the platform work for us and why our second Instagram account is becoming even more popular than the first. LinkedIn has launched LinkedIn University Pages to focus on engaging students and helping them find a job after graduation through a strong alumni connection. Beyond strengthening your school’s brand, LinkedIn University allows you to capture student life through photos, videos, and galleries, as well as share news and respond to questions from prospective students. In this session, Jaclyn will help you learn how to maximize your space on LinkedIn University and offer some tips for collaboration to maximize content. Still think Google+ is a ghost town? Think again. Colleges and universities use Google+ in different ways to reach prospective students, connect faculty to media outlets and improve search engine optimization. In this session, Cara will explain how Duke has incorporated Google+ into an overall social media strategy and explain what differentiates Google+ from other social platforms. Good conversations make for good interactions on social media. Good content leads to higher engagement and happier communities. So, which conversations and topics are getting traction across social platforms? What matters to your audience? In this presentation, Alaina will share steps to creating a conversation-driven social media report. With the right data, you’ll be able to identify which topics, no matter the type of post, are resulting in the most engagement. How does Social play into the bigger picture of what your institution wants to achieve with its marketing and communications? Do you know what results you get from Facebook? Do you know what you want Twitter to accomplish for you? In this session, Joshua will talk about how you can use Google Analytics to examine the effects of social media and will explain social media’s connection to larger search engine optimization goals. Want to watch the Higher Education Social Media Conference? The conference allows you to absorb a lot of different perspectives in a compressed amount of time. It leaves your notebook full of good ideas. I've never attended an online-only conference before, so that was really interesting, and I appreciated that it was multiple short presentations, not super long ones. This was our third time hosting the Higher Ed Social Media Conference and it continues to be one of our faves. The format and convenience are great and we love learning and improving with our #HESM colleagues. Last year, I created a Social Media Users Group on campus, aggregating all the different social media managers from various campus offices and departments. It was great to stream this conference with that group to give them a little more education on my role as a Higher Ed Social Media Manager, as well as to offer them ideas and inspiration for their own social accounts. It was insightful and helpful. We had admins from various areas on campus sitting in, and it helped us have some conversations that were much needed for a long time. This is the first HESM conference that I have done, and I had a great experience! I loved that each presentation is under 15 minutes-- it gave me the presenter's most important points, there was no loss of interest, and I could still ask questions. I like the idea of short presentations - it makes it possible to see a range of case studies over a (relatively) short period of time. The diversity of examples is also a big plus. It's great to talk about many different topics in social media. There are so many areas to discuss and learn about. It would be nice to have more discussion and interaction with everyone, while being educational. Excellent. Each presenter was clearly a leader in social media for higher education and was able to communicate clearly, thoroughly and concisely how we can elevate our colleges' visibility and engagement through these platforms. I was able to pull useful information from each of the presentations. Seamless. I liked that I was able to quickly learn about a variety of topics from a variety of people with different needs, goals, and strategies. Convenient setting, easy to digest info and practical advice -- thank you! This conference was very informative and will be useful as we plan our social media strategy for the coming year. Being able to watch from the comfort of my office was a bonus! I learned a lot and plan to implement changes at work! Love the short presentations. It made it so if one was not applicable to myself, I didn’t have to wait long for the next one. An engaging format that provided valuable information and ideas that I can implement immediately. Good speakers - balanced for small, large, private and public universities. As an extension campus of a large university it was really great to get insights from people who specialize in social media as we don't have any dedicated marketing employees on campus. We look forward to this conference every year. It's nice to hear from peers in our industry and things that are working for them. This was a helpful conference for both myself and my colleague in another office. It gave us both some great ideas to try out and it was also nice to know we were on track in other areas. Great way to learn about what is going on in the social space from relevant speakers! This was a great experience, I was very interested in all the topics and I look forward to implementing the tactics I learned. I really enjoyed the pacing of the conference. It was so nice to be able to move from presentation to presentation in such quick succession. It made it easier to devote my entire attention to the presentations which can be difficult in web-based presentations. I also appreciated the breadth of expertise of the presenters who spoke from multiple perspectives with a variety of expertise in multiple platforms. I enjoy the format of this conference; having multiple speakers that present for a short-period of time on a wide array of topics keeps the conference interesting and engaging. Plus I feel like I took away a lot of good nuggets of information. Great experience, helpful content - inspiring examples. The 10-minute sessions are brilliant because you get a taste and the takeaways... and then it is on to the next one. Amazing. The presenters each were able to display their personalities whether it was with their charisma, their knowledge, their advice, their examples, or their live-tweeting about their presentation as they were presenting. It was also great that there were so many people who were live-tweeting and engaging on Twitter with one another. It was also really fun and interesting to listen to what everyone is doing with their social media. From hearing about trolls, dealing with student deaths, losing a Facebook account, disaster communications, etc. - it was all just very well put together, the flow was great, and I was engaged the entire time. This is an invaluable resource-packed conference for higher education social media managers. It was also a great way for teams across campus to gather, share learnings and spark collaboration after the sessions ended. Efficient and definitely engaging. We appreciate that the presenters stuck to the time limit. As a first time attendee that is just getting started in the world of higher education and social media - my experience was great! Very informative. Best professional training in the field. This was my first online conference. I wasn't sure about the 10-minute session format, but it was enough time to provide really useful information. I loved it. I felt like I got two and half days of sessions all in one jam-packed half day. If a topic didn't really apply to my institution, it was still useful food for thought (and easy to sit through while waiting for the next topic). I really enjoyed this format. The conference not only educated a good group of social media managers, but really brought us together and got us thinking. I'm informed and appreciated the multiple voices and perspectives from the 12 sessions. This was a great learning experience as I am very new to managing social media for a higher ed institution. It was especially exciting to see and hear how other Social Media Managers target prospective students using new, fun and highly-innovative approaches. Good to hear other perspectives and to pick up information we could apply. I learned some new tools, applications and ideas. The speakers were well prepared and informed. This conference included some useful tidbits, but was more geared toward four-year colleges and university (understandably). This conference is informative for anyone who manages social media channels in higher education. The presentations were brief and informative, and the presenters did a great job illustrating what is working for their institutions. I enjoyed the conference and think my team gained several takeaways that will improve our social game. I like the online format and timeline - easy to access and fit into a busy schedule. Good amount of tactical presentations that give good ideas and refresh creative thoughts. Great coverage of topics! It's nice to do a conference that isn't all theory and incorporates tools you don't have to pay a ton of money for. We enjoyed the quick hits of ten minute sessions, enough to get ideas but not more than what can be absorbed in one sitting. The two minutes in between sessions gave my group a chance to talk about what bubbled to the top for each of us in each session. We learned a lot from this experience as a team, generated a lot of ideas and had many a-ha moments. The conference was insightful, and confirmed best practices being used. It highlighted areas to improve across platforms. Well thought out presentations on how to use social as platforms evolve. Highly informative and will have very real impact on our social plans for the upcoming year. A really effective use of professional development time & budget. Easy to attend, and good information. There was a lot of great content that inspired new ideas for the attendees - it was definitely worth the investment of time and money :) Thanks for putting on a nicely organized event. This conference provided great tips and strategies for many different aspects of social media. It's so helpful to hear how other campuses are managing, implementing and measuring their content and platforms. It was the best conference I have attended this year. This is my 4th year attending this conference (3rd time was as a presenter). This conference always jumpstarts our entire social media effort for the next year. It is, by far, the best educational opportunity about higher education social media that I have encountered in my career. The brainstorming session especially were a fantastic way to immediately pause and generate my own ideas for my institution. For anyone that manages social media in higher education, and especially for those who have this sole responsibility, the Higher Education Social Media Conference lends great insight into what is happening in the industry now and what others have experimented and found success with. Our small team at Augustana University enjoys learning new tips to better engage younger audiences and our parents, alumni and donor friends. The ability for the entire AU team to hear the same informative presentations – without incurring travel costs – is a key reason our institution is a repeat attendee. Every HESM conference is jam-packed with insights and ideas to improve your institution's social media game! The Higher Ed Experts social media conference is a great way to get your team thinking of new ways to engage their audiences and to learn from your peers in higher ed. I really enjoyed the format, the sessions were short but extremely informative. It was great hearing about a wide variety of topics and the conference flew by. Well worth the registration fee! The format was perfect, and the speakers were excellent! The format allowed for a lot of subject variety, ensured participants stayed interested and engaged, and kept the presentations focused on valuable tactical take-aways. You also kept perfect time! One of the best webinars I've participated in. Good use of time. Enjoyed the fast pace with multiple topics - something for everyone. The short time period prevented presenters from getting off in the weeds. This conference provides a digestible deep dive into varying topics in short time frames, it is perfect for those who have an understanding of social media and are looking to converse, learn from and share the best of HESM. Pace of presentations were spot-on; appreciated getting nuggets of wisdom. This was a thorough program. All aspects of social media, from a university standpoint, were covered. We learned a lot of new things about various social media platforms and marketing ideas that will be very useful in our university's efforts. It's a great conference that allows you to quickly get the golden nuggets of information because of the 10 minute time limit. Comprehensive insight into the trends and tactics of social media use in higher education. I enjoyed the experience and particularly like the 10-minute format for each presentation. The conference was interesting, very informational and did not lag (the breaks were well-placed). I learned a lot about how other institutions handle the same difficulties, making my team and I feel better about where we are and what we've done in the social media arena. Effective social media training with insights from a great panel. I enjoyed the immersion into knowledge shared by professionals in higher ed. I came away with many ideas, and was also affirmed that I'm taking my department in the right direction. It's the best of both worlds. You get all of the takeaways of a longer conference in short, accessible sessions. This is our second year attending this conference and we find it useful and refreshing to hear new, innovative ideas from the various schools. It's always nice to hear what is working outside of our campus and find a way we can implement the various strategies here. This conference was chock-full of inspiring case studies, showing how highered institutions are maximizing social media. I came away with strong ideas that I hope to implement in the next 6-10 months. It was so nice to be able to attend a conference and hear about new, exciting ways to use social media—without having to spend days away from the office. A great conference to share ideas and challenges with those who are in the trenches, creating content, calculating ROI and championing the use of social media at the university level. The Higher Ed Social Media Conference allowed us to hear from peers and experts across higher education social media while also enabling discussions with our campus team to see how ideas could be applied to our environment. Win-Win. I found the wide variety of topics covered in the HESM14 Conference very valuable. The topics were relevant to new and experienced social media users in higher education marketing and the presenters shared knowledge that can be implemented right away. I'm looking forward to taking what I learned back to my colleagues! Very interesting, lots of good nuggets throughout. Hope to use the presenters' examples to inspire social enthusiasm at my campus. Very useful. We are a very small marketing office and need any help we can get. Lots of good tips and tools. HESM14 presented real world scenarios in the fast changing world of social media in the sometimes slow changing world of higher ed. A must for anyone looking to advance their higher ed social media outreach. Good ideas to apply to my own university! I liked the fast pace and variety of topics! I really enjoyed the quick, 10-minute sessions on a wide variety of topics. It was perfectly suited for a conference on social media. Great crash course on social media management! Inspired many new ideas to bring to my team. The Higher Ed Social Media Conference surpassed my expectations, The event provided answers to many of my most pressing questions and offered great new ideas that are sure to enhance our social media program. I would describe the conference as exciting, enlightening, challenging and very informative. The speakers encouraged me to be creative with my thinking about social media and how I can best use social media platforms to build the brand of my programme online and recruit new students. I had a positive, informative experience at the Higher Ed Social Media Conference. It's great to hear what other colleges and universities are doing! I received so many new ideas, both from the presenters and from the Twitter back channel during the event. My challenge will be finding the time to put them into action, and deciding which to do first! It was a great whirlwind of great information that just kept coming through the session. The conference was relevant for the issues that we wrestle with in social media. It was great content! I always learn something new and I like that it is online, so I can tune out when the subject doesn't really concern me. What I love about this conference is the convenience and breadth of topics. The bite-sized sessions are usually just enough to get me thinking about that specific topic and how I can utilize it on my campus. I find myself furiously taking notes less about what the speaker is saying, and more about how I can translate and implement their ideas and experiences in my work. It's inspirational! The Higher Ed Social Media Conference was a great resource to get a lot of helpful information in a shorter amount of time. The ease of accessing the conference and the ability to participate from our campus was an added bonus as well as a time and money saver. It was extremely helpful and informative and the best part is that I can take what I've learned and apply it immediately in the office. Each presentation either provided me with new information or helped solidify thoughts and ideas that we will be putting into place. It was inspiring! Really enjoyed this conference. Discovered a lot of great tips and tools to consider, all presented with an eye toward strategy and making the most of existing resources. Love how the #HESM16 conference brought tons of universities and people together – online! The twitter feed was an awesome addition – even more participation that last year. It was a convenient way to grab ideas across the multitude of social media topics in a short amount of time. It's always helpful to hear those experienced in their field sharing practical tips for success! This was a blitz of useful and super relevant information that I was able to easily incorporate into my work day. I enjoyed hearing best practices in higher ed social and being able to think about how those practices will or won't work at my institution. Since we are a small marketing department with only one person dedicated to social media, this conference allows me the opportunity to stay informed about how to best utilize social media metrics, practices, and new trends in short, succinct presentations. Very effective use of my time! I appreciated the variety of topics, the information about newer technologies and the experience level of the speakers. It is rare to find a conference that focuses solely on social media in the realm of higher education. This conference provided invaluable insights into current trends and strategies that I will surely be able to apply to my job today. The 10-min presentations are excellent. They get to the point quickly and spend the remaining time walking through (recent!) real world examples. This was unique and very informative opportunity to hear what my peers at other universities are thinking and doing in this arena. I learned a few new things, and validated many of our thoughts and ideas here about social media and higher ed.